In keeping with the spirit of the book to minimize I will just say. ”Great”. 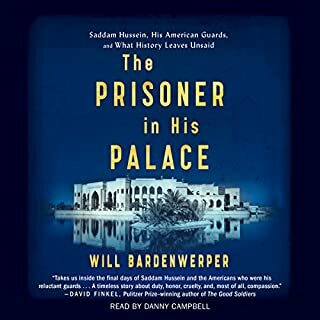 I like this book which showed the imprisonment, trial and execution of Saddam Hassan from the perspective of the 12 U.S soldiers assigned to guard him during this time period with the back drop of the Iraq invasion. It was an amazing book to me because you see the human side of Saddam a narcissist psychopath but who developed a bilateral friendship with these guards. A man who could kill his own people but save the crusts from his breakfast to feed the birds at the palace which became his prison. I know it sounds crazy but You kind of end up being inspired by Saddam Hassan in a way because of his life style and the relationship with these guards during this time period. The author takes you right up to, the point of and the time after his execution almost as if you are walking the steps of the gallows with him. It was interesting to me as to the way he died and the way he lived as well as his outlook on life during this time period. I would highly recommend the book. It's an original. I thought this audio was really great. There is a real depth to it. 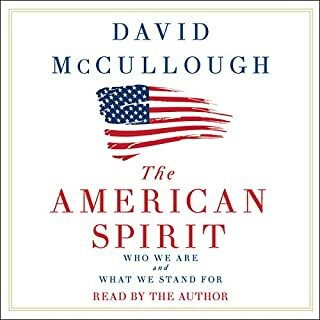 I have taken information from here gone on and did some other research and even purchased other books as one of the speeches suggests. This is one of a kind. It has history, philosophy and motivation just to name a few. This guy is truly a great man. I have listened to all of his books. They are all great. For those who value their money it is a great bargain as I have listened to the book three times already. 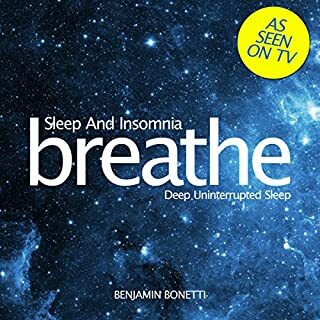 Thank you Benjamin you have made a profound change in my life by allowing me to get better sleep a vital component of the necessity of my life. I'm telling ever person I know about this who has problems with sleeping. Thanks again! So much for there not being such a thing as a 5 star rating. This is 5 star. The Book is real, Fun, interesting, learn a situation and culture you never knew about, and so greatly written. It is a 5 star. This book is a game changer for me and has altered my perspective on life. Think about this one fact: There have been six separate species of humans. One of these other species of humans now extinct was around longer than our species has currently been. 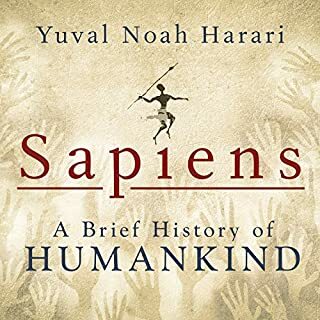 I cannot believe this author has captured and conceptualized our entire universe, world and species and put it into a thought provoking book like this sharing the most current and updated scientific information about who we are, were we are from and were we are going. 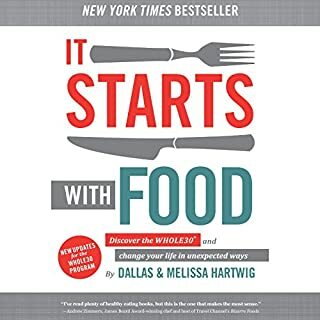 I am going to start the book over again now from the beginning and can imagine myself gong back to this book over and over again for the rest of my life as well as giving the book to as many people I can think of. Why this author is not all over the front page of the international news is beyond me and the fact that he is not says a lot about the priorities of our society as a whole which by the way is a concept that the author deals with head on. Brilliant author who has to have devoted his life to these subjects. A unique perspective, encouragement and instruction on the business of life and life itself. I'm going to start listening to it a second time right now. Very good motivational book. 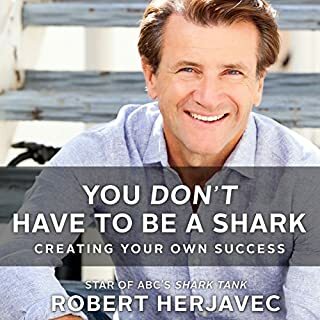 Definitely within the top ten overall business motivation books and for me personally maybe top five. Yes. 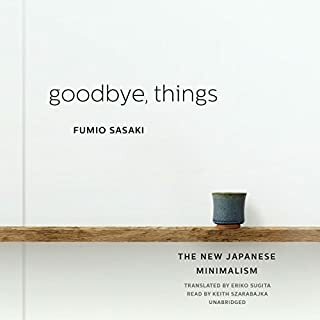 I enjoyed this book because of the way it teaches you the history of words and phrases that you use or have heard of. He tells you the origin and history of these words and phrases. 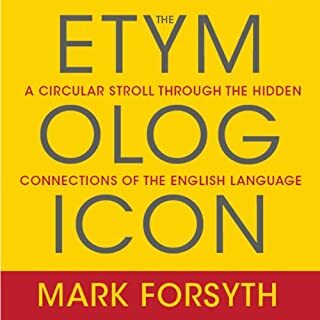 What other book might you compare The Etymologicon to and why? This is a one of a kind for me. Excellent. He just seemed to be perfectly cast for this book. It was almost as if you were with him one on one. Everything from where these words and phrases came from: hot dog, bikini, hey-man, don't let the cat out of the bag, pipe dream, upshot and so many more. I listened to the book twice and the second time wrote down some words so I could bring them up in conversation with people later. Forsyth has got to be a real bright guy. You can tell he has a passion for this. Its a lifetime achievement. If you could sum up 19 Lessons on Tea in three words, what would they be? What was one of the most memorable moments of 19 Lessons on Tea? The different types of tea and where they are grown. She is a good narrator for this material. 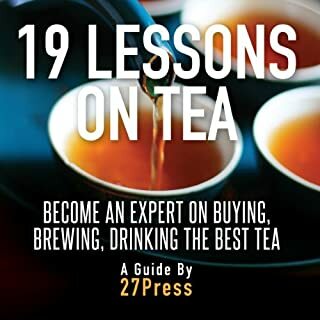 What did you learn from 19 Lessons on Tea that you would use in your daily life? I am an tea drinker and tea enthusiast. This book gave me a wealth of information. 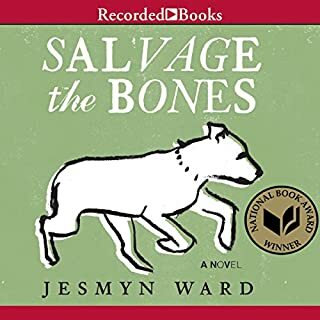 I have listened to the book several times. Each time I listen I pick up something new. If you want to learn about tea from the ground up and then some this is a great book.